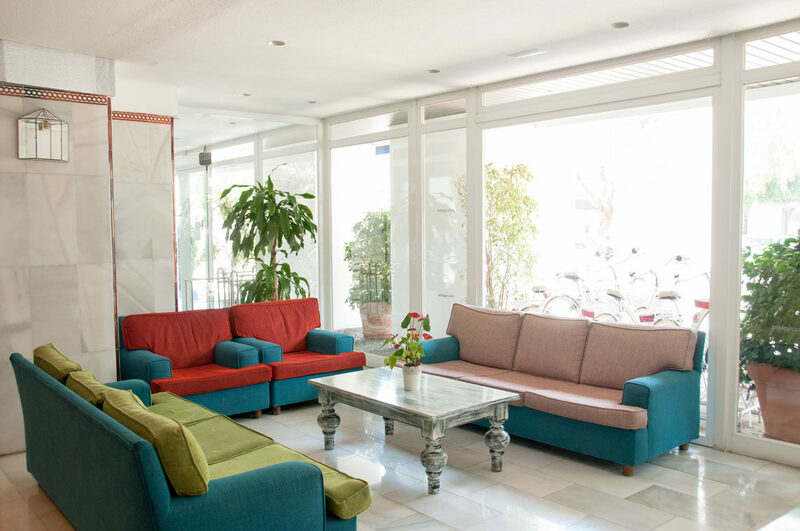 For relaxation in the Costa del Sol sunshine, you can't miss the Hotel PYR Marbella in Puerto Banus. 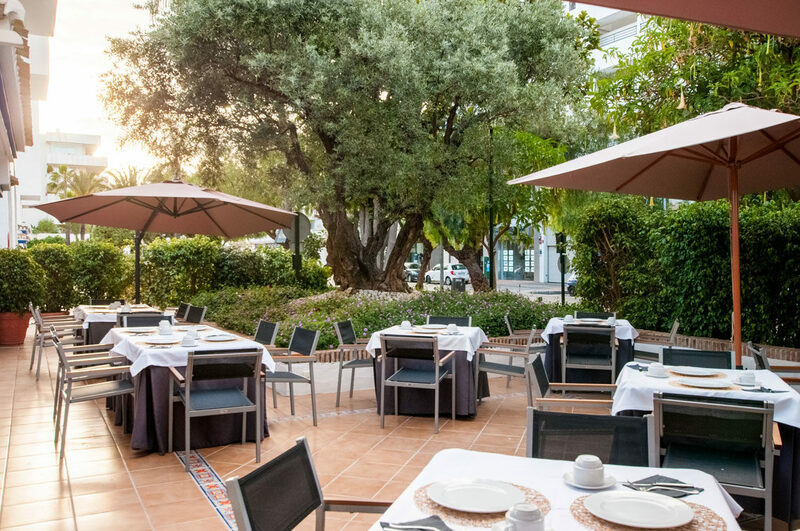 Sitting in subtropical gardens, this luxury hotel is made up of three Andalucan style buildings and boasts a plethora of onsite facilities and stylish studiotype accommodation. The pool area steals the show during the daytime. 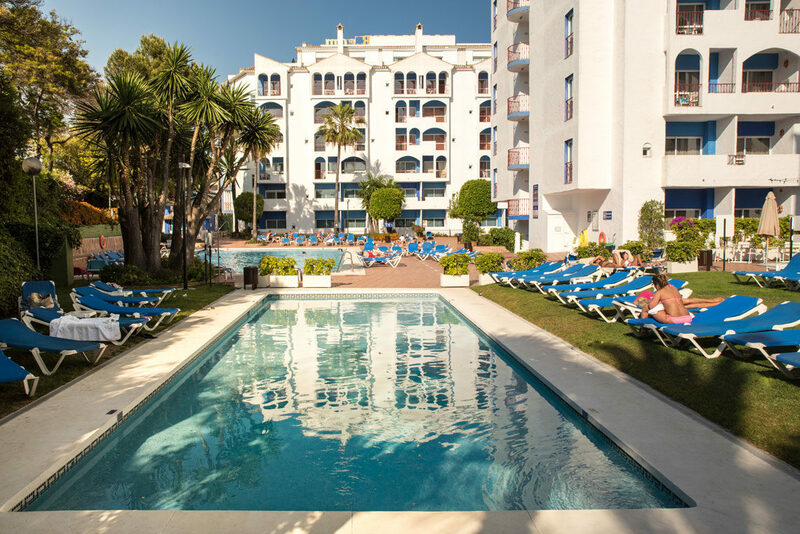 The water's edge is lined with sunlounger filled terraces, perfect for laidback days working on your tan. Splashing times are on the menu for the little ones too with a children's pool alongside. The beach is within walking distance if you prefer lying on the sands. On top of all this, activity fans can enjoy a game of tennis or paddle tennis on the onsite courts. The children get a look in too, during the peak summer months, with a miniclub and family friendly entertainment to enjoy. Indoors, the public areas are light and airy and come with free WiFi connection to keep up to date with things at home. The guest studio apartments are spacious and offer all the modern touches to make your holiday special. From a kitchenette to rustle up a snack, to air conditioning and a satellite TV. A contemporary bathroom and furnished balcony add to the luxury feel. The onsite eateries serve up a host of treats to tempt your tastebuds. Tuck into buffet style breakfasts each morning and then uncover Mediterranean flavours for lunch and dinner. Light bites and hot and cold beverages are available poolside during the daytime. The cafe bar is open for freshly brewed coffees and a full menu of drinks. When the sun goes down, take a stroll into Puerto Banus and explore the marina and lively nightlife scene. 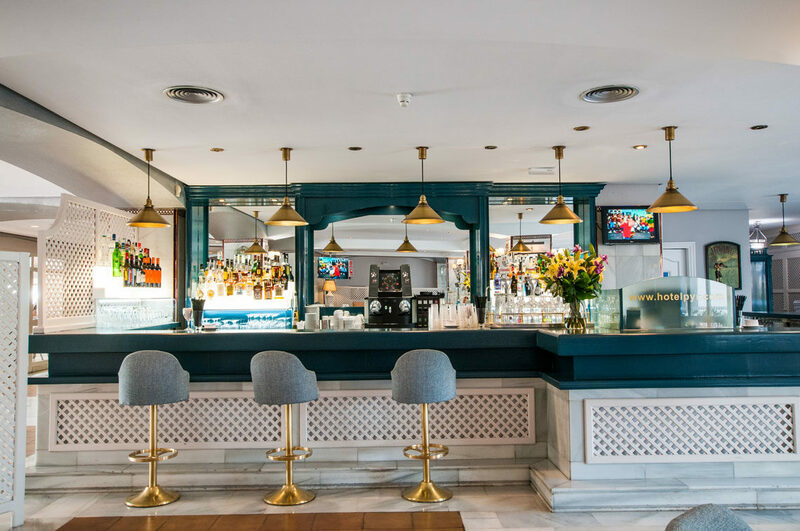 Discover why the Hotel PYR Marbella is one of the favourite hotels in Puerto Banus. 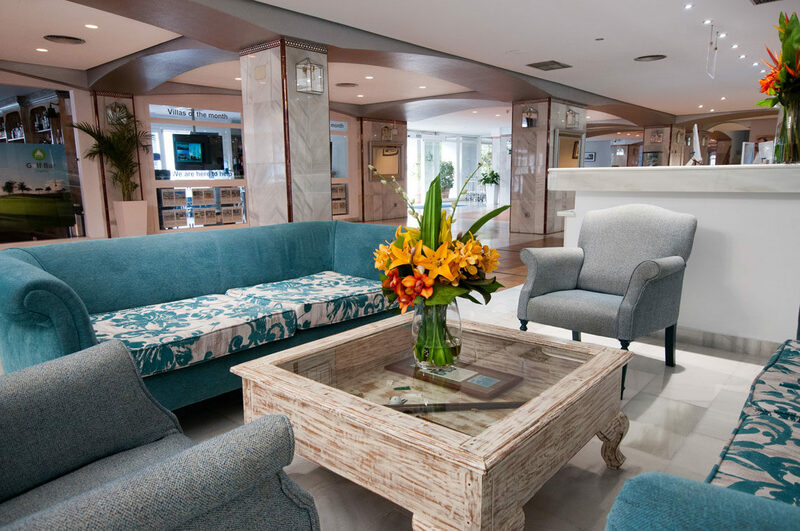 The Hotel PYR Marbella has all the facilities you would expect from Puerto Banus hotels. Highlights include: A large outdoor swimming pool with sun terraces and sunbeds, children's pool, buffet restaurant, cafe bar, golf bar, cocktail bar, free WiFi connection, internet room, 24 hour reception desk, parking, laundry and dry cleaning services, car rental and transfers, babysitting on request, pool towels with 15E deposit, mini club and kid's entertainment in July and August, tennis and paddle tennis courts and free cots. The hotel has a total of 319 modern guest units. The studio apartments feature individually controlled air conditioning and heating, direct dial telephone, satellite TV, bathroom with two sinks, bathtub with shower, bidet and WC, kitchenette with cooker, fridge, tableware, crockery and cutlery, free WiFi connection, free safety deposit box and private terrace. The main Restaurant Mediterraneo serves a breakfast buffet and a menu of assorted Spanish and international dishes for lunch and dinner. The Cafe Bar is open from 11.30am to 10.30pm for hot and cold beverages. The Golf Bar is open from 4pm to midnight and offers a full menu of drinks. The Cocktail Bar is by the pool and opens from 12 noon to 7pm during high season. 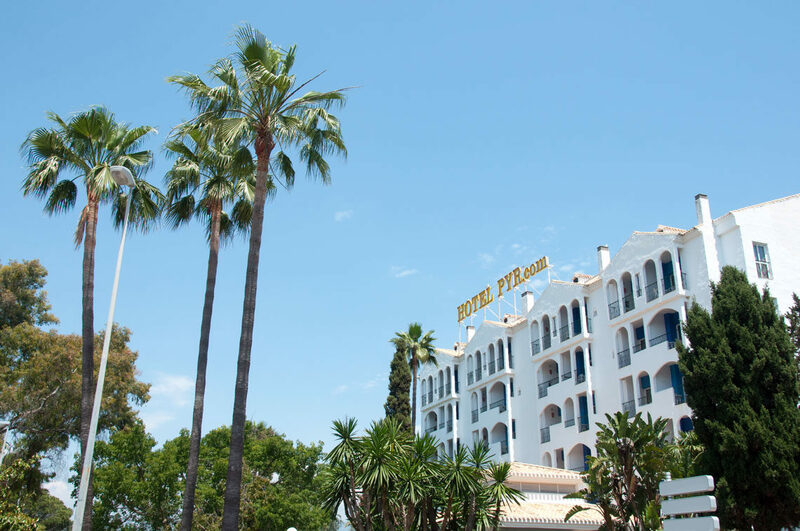 The hotel was in an excellent central location with a short walk to the shops and marina.